What makes our services more affordable than flinging flyers, committing to costly TV spots or flat-out going door-to-door? Our shared direct mail marketing allows you to split the cost of mailings. You can mail to as many as 220,000 households in the Louisville area affordably. More than affordable, the process is simple and effective. 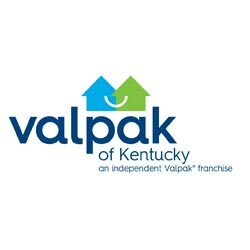 Valpak of Kentucky works well for all kinds of businesses including automotive, bars and restaurants, boutiques, home improvement, personal services, general services, shops, health, medical and many others.